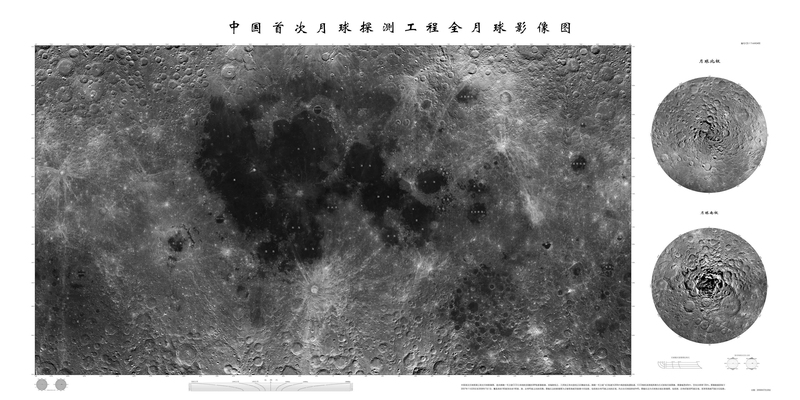 China has published its first map of the entire lunar surface. 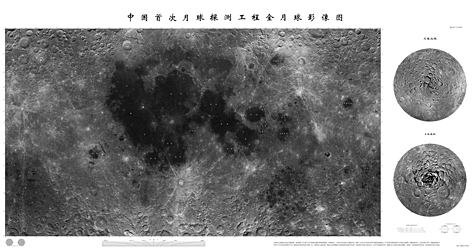 The map was created using imagery obtained by the China’s Chang’e 1 lunar orbiting spacecraft. Larger image here. 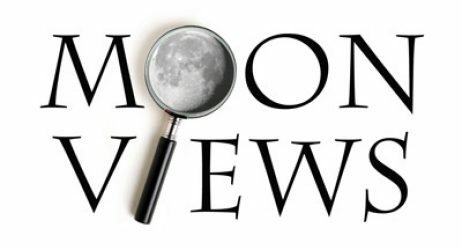 We hope to produce something like this as well once all of our Lunar Orbiter images have been recovered and enhanced. I don’t suppose they plan to release (or already have released) and english language version?